As artificial turf becomes more commonly used in sports arenas, there has been rising national concern on whether or not it is potentially toxic. Giving the appearance of natural grass, the turf has crumb rubber underneath it, which is composed of pellets made from recycled tires. Lauren Zeise, director of the California Office of Environmental Health Hazard Assessment (OEHHA), wrote in 2015 about the potential danger of artificial turf based on short-term studies that were conducted, suggesting that the artificial turf may possibly be dangerous. In Nov. 2015, California legislators spent $3 million to further research artificial turf and the correlation it has with diseases such as cancer. The research is estimated to be completed during mid-2019. “Lymphoma and leukemia have been the focus of many reports, but others such as cancer of the brain, testis, and thyroid were also mentioned,” Zeise said. In late 2017, the Children’s Environmental Health Network, a national multi-disciplinary organization, conducted studies which showed that some artificial turf contains asbestos, a mineral that may be associated with lung cancers. “Of the 92 chemicals found within crumb rubber, 11 of them have been identified as known or suspected carcinogens,” the organization said. Another nonprofit group, the Environment and Human Health, also states that artificial turf may potentially affect athletes’ health due to the presence of lead and zinc. “Synthetic turf fields were found to pose a toxic threat to biological organisms,” the group said. 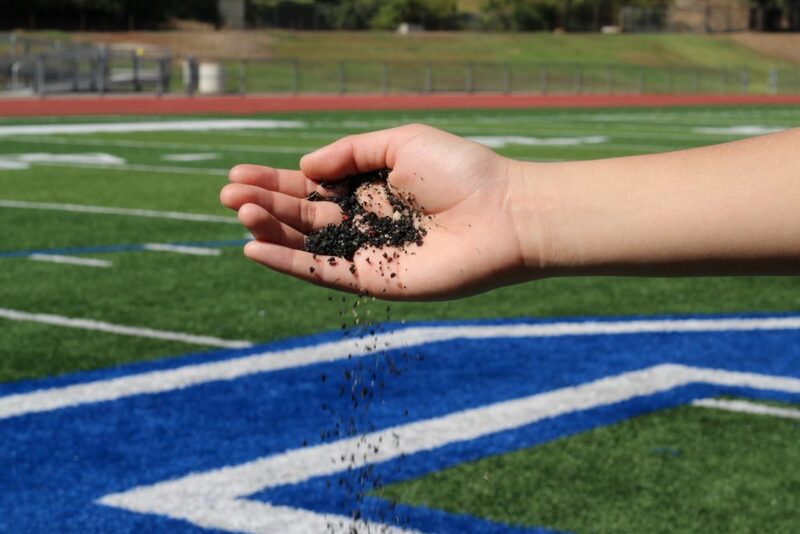 The potential danger of the crumb rubber has also prompted the West Sonoma Union High School District Board to change their decision about installing artificial turf at their high schools. As a result, the district decided to install turf infill made from 100 percent cork, costing them an extra $170,000 per field. Starr Hergenrather, a member of the West Sonoma County Teachers Association, was concerned about artificial turf. However, despite the OEHHA’s short-term studies, Zeise, in 2015, concluded that artificial turf contains very limited toxicity in it. The Synthetic Turf Council (STC), a nonprofit trade association, has also suggested that artificial turf is safe from any chronic toxicity. Environmental science teacher David Whitman believes that artificial turf should not be a concern among student athletes. Although Whitman is aware that artificial turf may contain carcinogens, he feels that we should not be concerned about the toxicity in the turf. Alumni have also voiced their opinions on the potential danger of artificial turf. Another alumnus, Roger Freeman, does not feel that artificial turf is ideal. Senior Ramon Ramirez said he was not too concerned with the toxicity of the artificial turf but rather with hurting himself on the rubber. 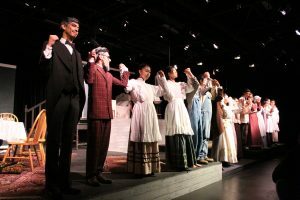 “I don’t feel endangered, but the only time you should feel endangered is either the way you fall or if you slide and you get burnt from the rubber,” Ramirez said.